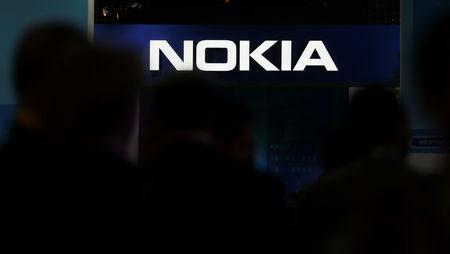 VIENNA (Reuters) - Austria's flagship telecoms group A1 said on Monday it had selected Nokia as its partner for building next-generation 5G mobile networks in the country, continuing a long-standing cooperation with the Finnish equipment supplier. A1 Group, which is controlled by Mexico's America Movil and the Austrian state, said Nokia would provide it with 5G wireless technology and cloud-based core network technology. The selection of suppliers for the new networks has become a politically sensitive issue after the United States lobbied Europe to shut out China's Huawei, saying its equipment could be used by Beijing for espionage. Huawei has strongly rejected the allegations and this month sued the U.S. government over the matter. Nokia and Sweden's Ericsson are the leading European contenders to provide 5G equipment. "Together with Nokia, we will leverage the full potential of 5G," said A1 Austria Chief Executive Marcus Grausam. "We rely on a trusted and long-standing partner with whom we have already successfully implemented numerous major projects." A1 Group agreed to pay 64.3 million euros ($72.8 million) for spectrum in the 3.5 Ghz band in Austria's first 5G auction earlier this month. It has said it will finance that from its operational cash flow.